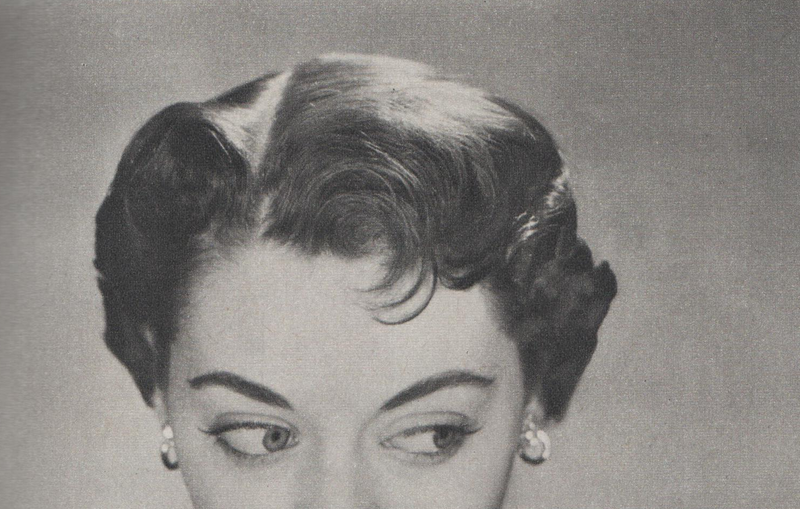 Let's look at cute hair today! 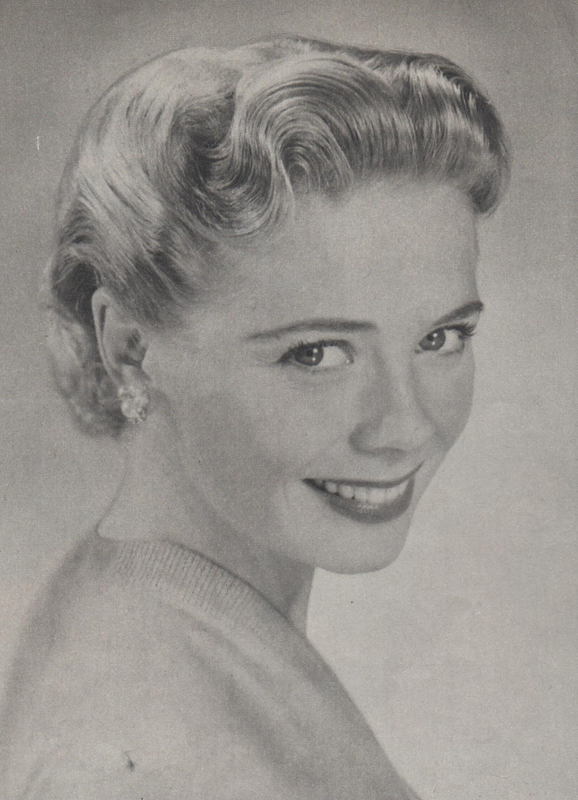 Every face deserves a becoming hair-do, and I wish my hair would look as wonderful as this beauty. 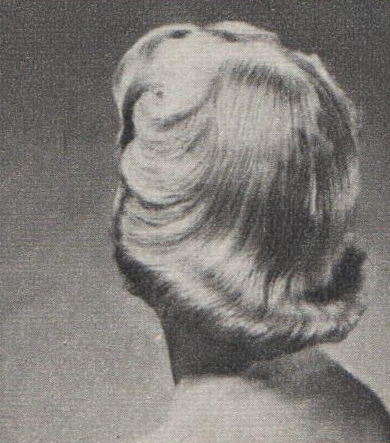 :) The following charming coifs are from 1955. If you have short hair, this might be the 'do for you! 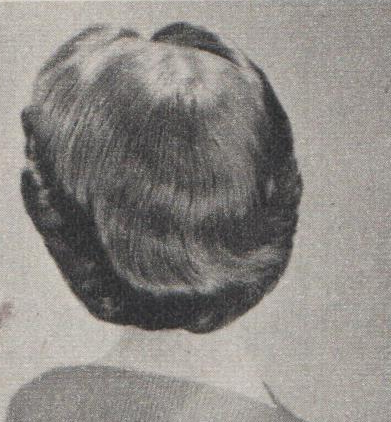 Front hair is swept away from temples, then brushed forward in side wings. The back fits the head smoothly and has just a hint of wave. If your hair is medium length or somewhat longer, this hair-do has some wave for body and manageability. The back can be brushed to fold smoothly under or fluffed into curls. These are lovely. Wish I could do my hair that well! I agree! 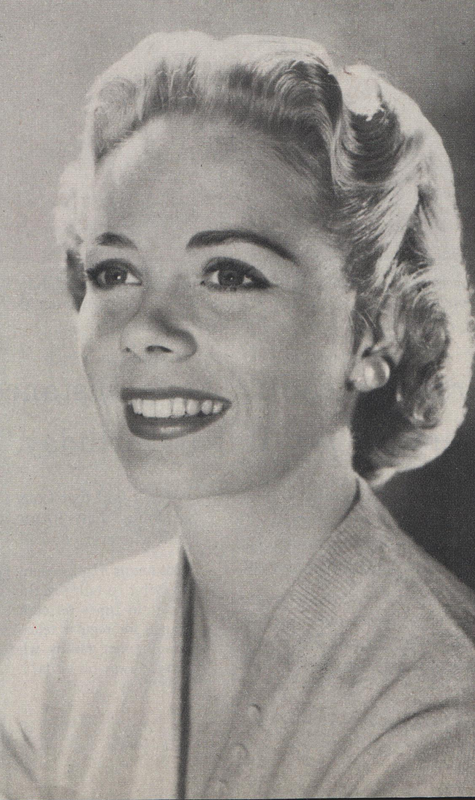 I totally wish I could replicate these looks - from the adorable hair-dos to the makeup - simply wonderful.